Distributed Art Publishers, 2012. 264 pp., 190 color illustrations, 10x11½". The artistic collaboration between Larry Sultan (1946-2009) and Mike Mandel (born 1950) began in 1972, when they were both graduate students at the San Francisco Art Institute. 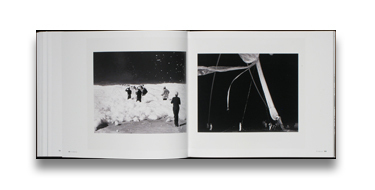 Over the next 12 years, they created 19 photographic projects together: two publications (including the influential photobook classic Evidence), two exhibitions and 15 billboard concepts erected on around 90 sites across America (mainly in California). Collaboration enabled Sultan and Mandel to evolve a seemingly authorless style; most of their works adapted found imagery from archives or from popular media, neutralizing the intended commercial or documentary content by emphasizing its banality. 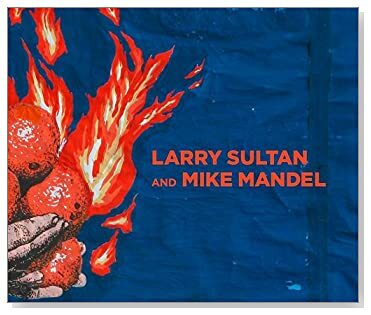 This substantial overview surveys Sultan and Mandel's 35 years of collaborating, which came to a close with Sultan's death in 2009. It begins with early projects based around the theme of oranges, such as 'Cornucopia,' a 1955 hand-tinted postcard of a model posing with the fruit, bearing the tagline, 'California gold fills the horn to overflowing,' and continues through the book projects How to Read Music in One Evening and Evidence, which are reproduced spread by spread. Also featured are the hilarious Tie Uprising series; the Whose News Abuses You? billboards, which used ceramic and magnet letters to spell out the titular slogan; and the duo's final collaboration, Trouble Spots and Full Stops, a billboard project based on a 1950s illustrated book called Your Bible and You, which conflated conflicting ideologies in both fictitious and real locations.